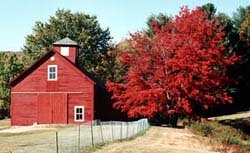 Andover, New Hampshire was first settled by Dr. Anthony Emery, the town was originally named Emerystown. It was then named New Breton, after Cape Breton, the site of a campaign against the French. The Town was incorporated in 1779 as Andover, the year Phillips Andover Academy was completed. The school’s founder, John Phillips, was a college friend of Dr. Emery. Andover includes the villages of Cilleyville and Potter Place. 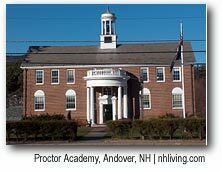 Home to the prestigious Proctor Academy, the Town of Andover crosses the Blackwater River Valley between Kearsarge and Ragged Mountains. Surrounded by Bed and Breakfast Inns, antique shops and quaint countryside, the village is highlighted by Greek revival architecture. 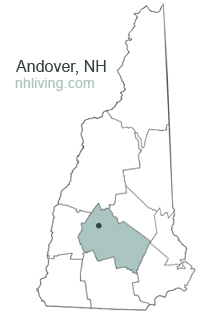 To share any Andover, NH information with us, please contact us. Learn more about advertising in NHLiving.